When it comes to planning a nursery for a new addition to the family, baby safety is a major concern for all parents, grandparents, and caregivers. Therefore, many of these people will spend months searching through the various types of toys, clothing, bedding, seats, nursery gliders and more to make sure they choose only the best for the baby that will soon join their lives. One of the biggest concerns for parents is where to let the baby sleep. What kind of mattress is best? How do you know that you are getting a safe mattress? 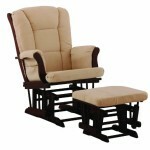 To help, we have dedicated ourselves to bringing you the best baby crib reviews on all of the most popular baby brands. We put effort into our baby mattress reviews to help you save time searching through endless products, so that you can spend your time on things that matter much more, your family. 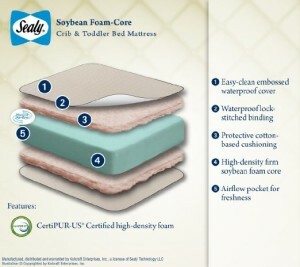 When it comes to comfort and safety when dealing with a newborn’s bed, you cannot be too careful. You need a mattress that is comfortable, breathable, and one that you can rest easy knowing is the best possible in terms of quality and safety. However, this is where it gets a little tricky. 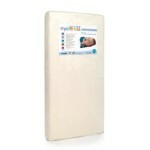 It is recommended that newborn and babies up to toddler age, sleep on a firm surface. For many parents this may not seem like the most comfortable place for baby, especially a newborn. The truth is, just because you feel the mattress may be too firm, it does not always mean that it is too firm for the baby. Babies weigh very little and they do not have a lot of body mass, this can make a surface that you feel is uncomfortable, very comfortable for them. 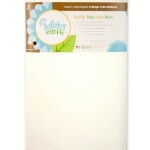 Often on a firmer crib mattress, newborns will start sleeping through the night easier. That is why we are so committed to helping parents find only the best and safest baby crib mattresses on the market. 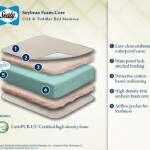 There are several things you need to consider when it comes to crib mattresses. There are very few parents who simply walk into a store and grab the first one they see. This is because the internet makes it easy to learn all there is to know about a crib mattress, before you buy. With that being said, there are key things that you should look for in a mattress, beyond whether it can be used for both infants and toddlers, which most can. 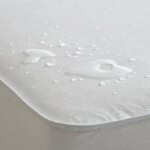 The safety of a crib mattress is definitely something you should check out before you make a purchase. Most will state that they are safe, but are they? Most of them are 100% baby friendly. Many are made with materials that will not absorb allergens, they may be filled with special foam to ensure that they remain hypoallergenic. One concern parents often has is the smell of the mattes when the plastic wrapping is removed. This shouldn’t come as a surprise as many baby mattress do have a chemical odor. Although the mattress meets safety requirement standards, like us, most parents prefer no odor for their newborn mattress. 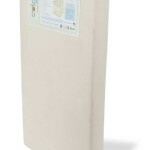 Safety should be amongst the top priority when purchasing a new baby crib mattress. Next, you must look at the comfort factor. A firm sleeping surface is best, but if you get a plastic covered mattress, your infant may get too hot during the night. Just like parents, a hot and sweaty sleeping environment is not conducive to a good nights sleep for an infant or toddler. Therefore, you may want to find a mattress that is firm, but not hard and one that has a more cloth-like or breathable fabric over it. For many families, price is also a concern. You have a lot of expenses when it comes to bringing home a little one. There are so many things that you will need to purchase, and let’s face it, not a whole lot of time to figure it all out. 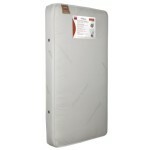 With crib mattresses, there is a huge price variation. Some will cost you about $100, but there are a lot more that are well above that price. 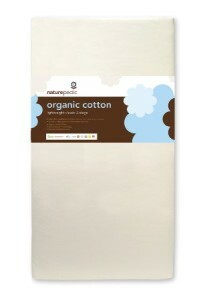 Do you really need the higher end organic crib mattress or will a cheap mattress do? 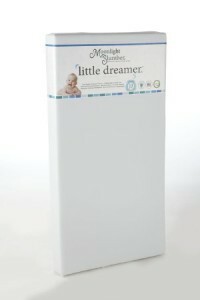 If you are looking for a crib mattress made of higher quality filling, or stitched so there are no seams, and possess other features or name brands that some parents prefer, you can expect to pay a premium price. You have to decide what you can afford and what you feel meets your expectations for the price. 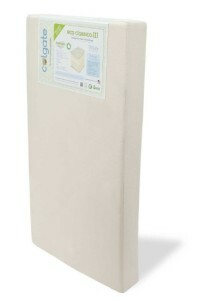 Some crib mattresses come with a cover and some do not. You need to figure out which type you want. There are covered mattresses that are removable and some that are not. 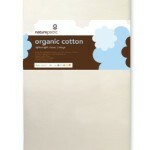 Some covers are designed to help lessen the plastic feel that may be required to ensure it is hypoallergenic. 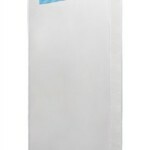 A lot of the covers are waterproof for added safety and peace of mind for parents. Others are not waterproof, but they can be tossed into a washing machine. 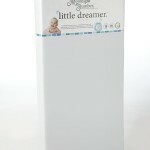 These crib mattress covers can save you money on crib sheets if you are in a pinch, but most parents who have a covered mattress still prefer to use crib sheets to increase protection and comfort of their little one. 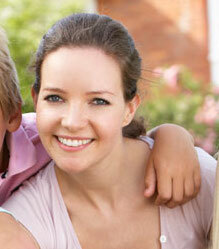 This is a personal preference that only you can decide which way is best for you and your little one. After searching through all of the reviews on various crib mattresses, we have come up with our preferred top 5 based on current owner reviews, price range, and overall quality rating. Perhaps one of these will spark your interest and if so, there are longer reviews for each of these products available. The only thing that truly matters is that you discover the best baby mattress for you, your little one, and your family’s budget.